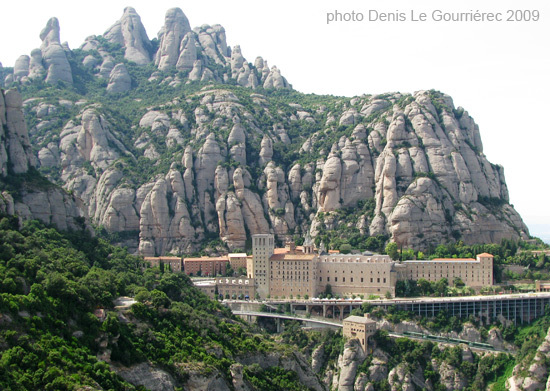 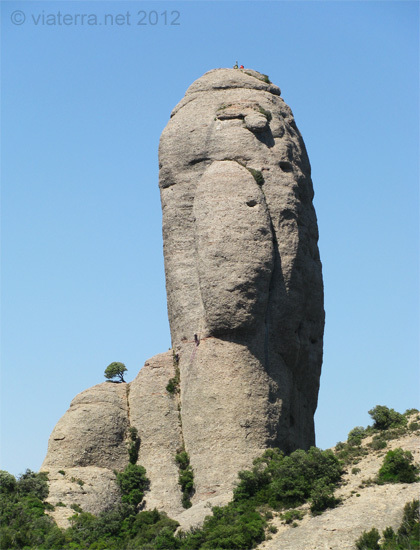 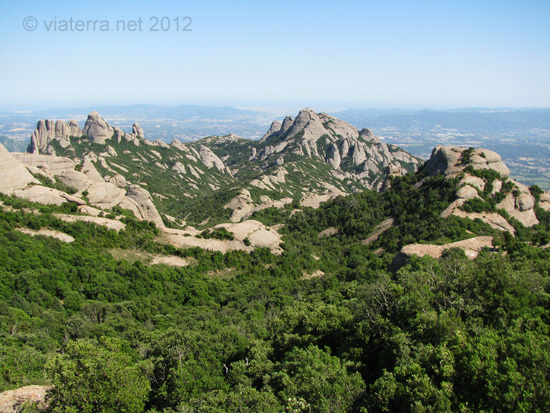 Montserrat literally means 'jagged (serrated) mountain' in Catalan. 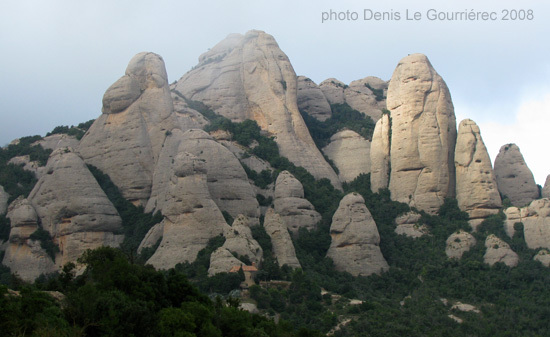 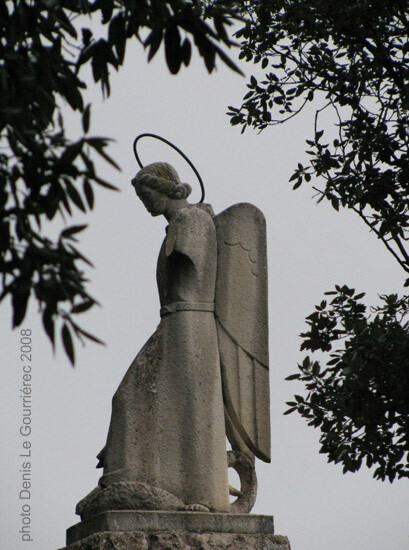 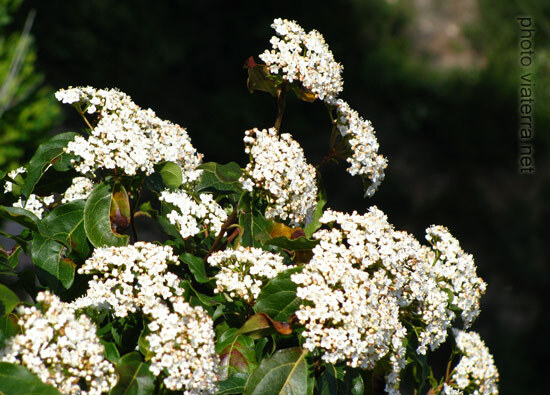 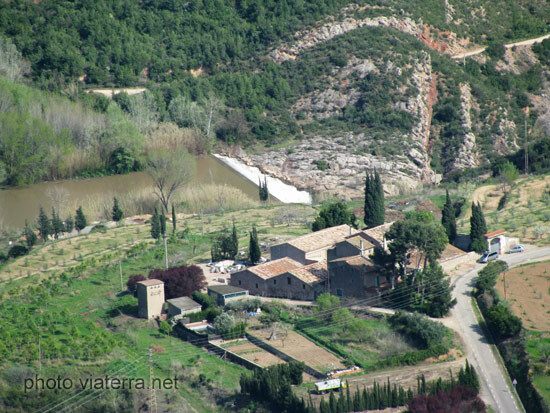 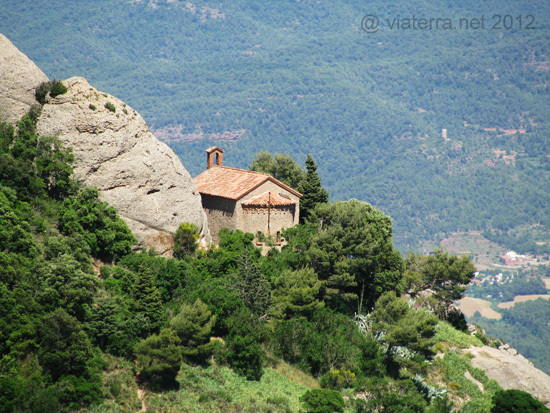 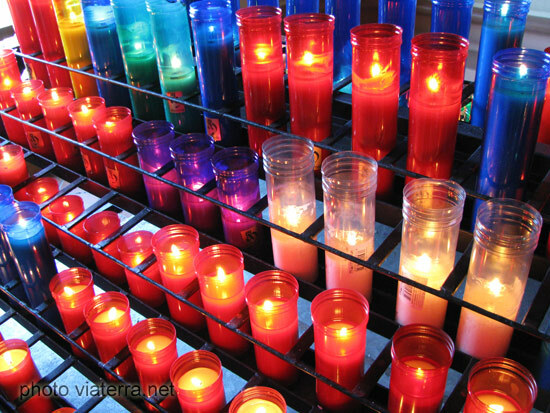 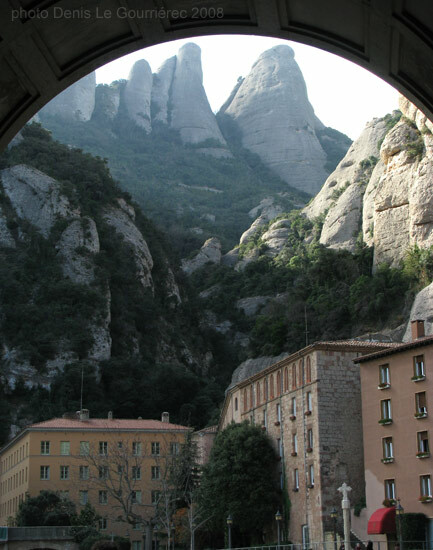 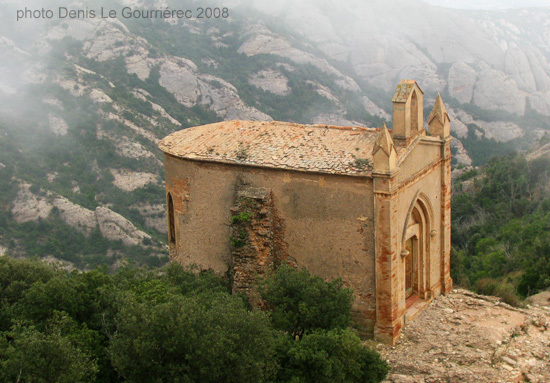 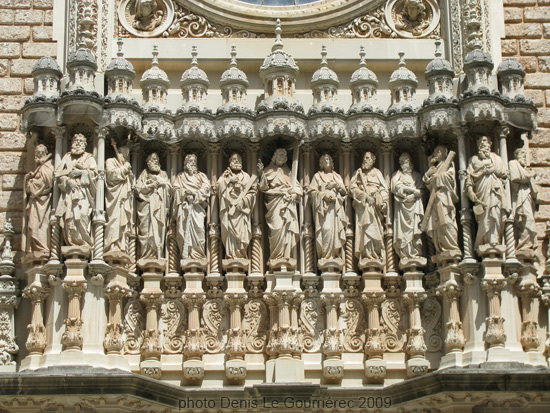 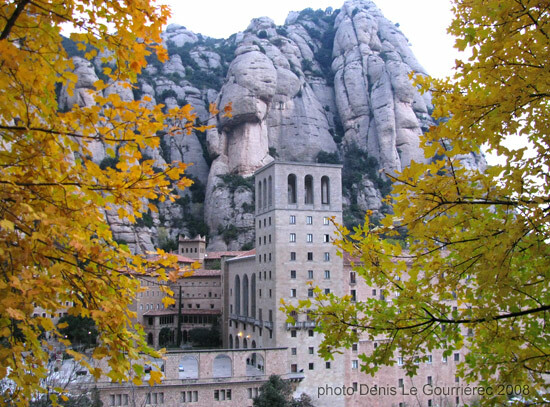 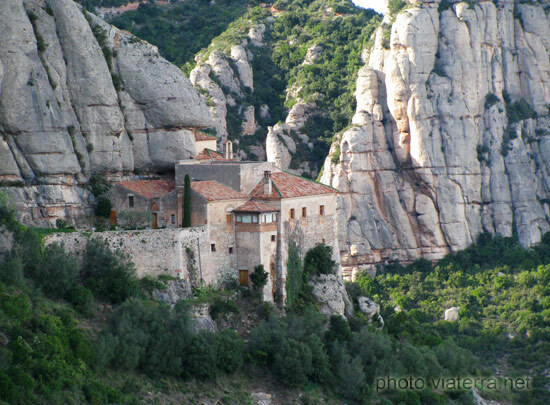 The mountain means a lot for the Catalan people and it is well known as the site of the Benedictine abbey, Santa Maria de Montserrat, which hosts the Virgin of Montserrat sanctuary. 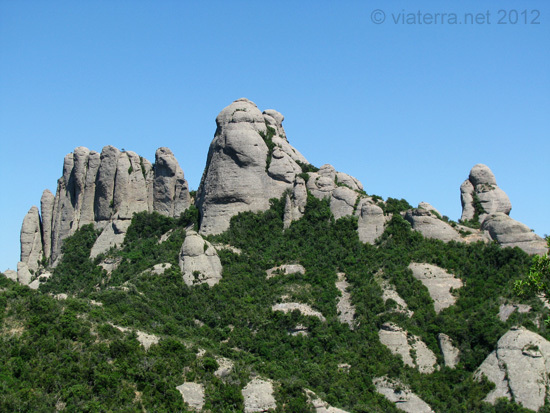 The mountain is composed of strikingly pink conglomerate, a form of sedimentary rock which erosion has carved into today's peculiar shapes over millions of years.